The Catholic University of Lublin was founded in 1918. It is the oldest university in Lublin and one of the oldest in Poland. It was founded by the Polish Episcopate on the initiative of Rev. Idzi Radziszewski, who was also the first rector of the University. KUL has been entrusted to the Sacred Heart of Jesus. Its maxim is " Deo et Patriae" - "For God and Fatherland". The first inauguration of the academic year took place on December 8, 1918, in the major seminary in Lublin - the provisional headquarters of the University. 399 young people began their studies in four faculties - Theology, Canon Law and Moral Sciences, Law and Socioeconomic Sciences, and the Humanities. In 1921 the University received its own building, the so-called Swietokrzyskie Barracks, an edifice of the Dominican Fathers of the Monastic Observance. The administration of the University made an attempt to have State rights granted to the University. In 1928 Parliament bestowed civil legal status upon the University. By means of the Parliamentary act of 1933, KUL became entitled to bestow the title of Master and five years later (April 9, 1938) it acquired the full rights of a state university, that is of conferring doctorates and professorships in all its faculties. Material means were ensured by donations and funds from dioceses, support from Friends of the University of Lublin Society established in 1922 (as of 1928 the Friends of KUL Society), from incomes from the Potulicka Foundation (estates near Bydgoszcz, a gift from the countess Aniela Potulicka) and collections carried out biannually (since 1930) in all Polish churches. The 1930s marked systematic development of KUL. The University hired a great many scholars, and cooperated with national and foreign research and academic institutions. Plans for establishment of new departments, among them medicine, philosophy, mathematics and natural sciences, a school for journalists, were stopped by the outbreak of World War II. During the German occupation, the University was shut down, and a military hospital was organised in KUL's buildings. The rector was imprisoned, many of the professors and students were executed, while others were forced to go work in Germany or sent to concentration camps. The University was involved in secret, underground education in Lublin, Warsaw, Kielce, Jędrzejów and Nawarzyce. 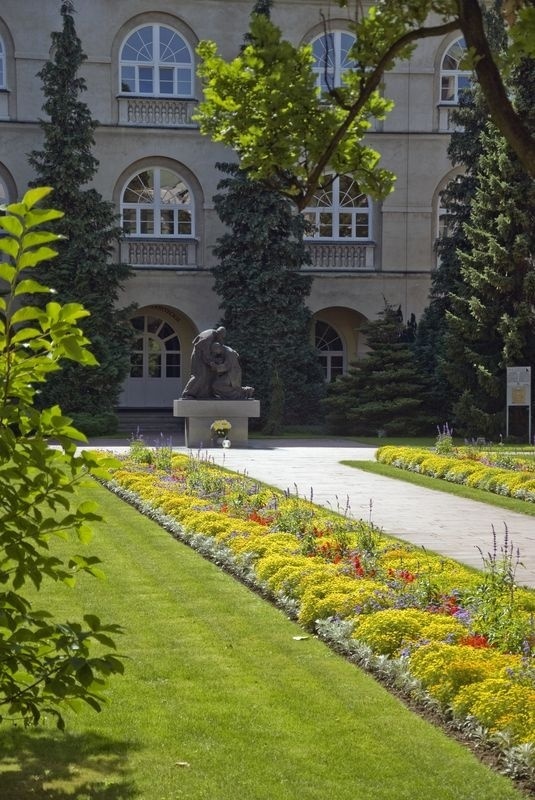 After the liberation of Lublin, KUL reopened its doors on August 21, 1944 as the first university in post-war Poland. Despite difficulties (finding academic staff, rebuilding its devastated buildings, finding resources to maintain the University), KUL started making advances: the Department of Christian Philosophy (1946) and the Institute of Higher Religious Culture (1946) were established. A flood of youth from all regions of Poland came to the city and their number systematically increased (1946 - over 1600 students; 1947 - over 2000; 1951 - over 3000). KUL soon became an unwanted university in communist Poland. There were attempts to stop the development of the University and to limit its influence on society. The 1950s and 1960s were especially hard. The Potulicka Foundation was taken over and made state property, student entries and enrolment were severely limited, aiming at closing the most popular faculties of KUL, that is the Faculties of Law and Socio-Economics. The philological sections were closed. The rector, Rev. Antoni Słomkowski, was then imprisoned. The right to grant doctorates and professorships was taken away from the Humanities Faculty, and academic exchange with foreign countries was blocked. KUL alumni were denied employment in state positions. Publications of academic research underwent severe censorship. The government's treating KUL as a profit making institution obliged it to pay high taxes, and due to delayed payments buildings and university property were confiscated. The response of the University to the growing repression from the State was expansion in the area of research and the foundation of new departments and specialised inter-department research units. It was a time when the university enjoyed its well deserved scholarly reputation. During the period of communism in Poland, KUL was the most important centre of Catholic thought in the country and the only independent university in the entire Soviet bloc. It was also a refuge for the young, not accepted into other universities or marginalised for political or social reasons. A change came in the 1970s when the University was allowed to make contacts with foreign research and academic institutions, yet the real turning point took place in the 1980s. After many petitions, some of the Institutes were gradually reopened. Moreover, the permission was granted to expand university buildings, among other things the erection of the John Paul II Collegium was started. The Faculty of Social Sciences was re-established, and a new Section of Legal Sciences and Section of Slavonic philology were founded. Thanks to the foundation of the Pastoral Care and Polonia Migration Section (1972), the Summer School of Polish Language and Culture (1974) and a one-year Course in Polish Language and Culture for Foreign Students (1977), more intimate bonds were created between KUL and Polonia. An event of remarkable importance was the election of Rev. Karol Wojtyła (since 1954 the head of the Chair of Ethics in the Department of Christian Philosophy at the Catholic University of Lublin) as Pope. In 1982, the Pope John Paul II Institute was established to conduct research into his teaching and make his works available to a wider audience. A monument of John Paul II and Cardinal Stefan Wyszyński was placed in the university court-yard a year later. On June 9, 1987 Pope John Paul II visited KUL. In 1980 the majority of workers and students of KUL took part in Solidarity demonstrations and protests organised throughout Poland. After martial law was declared, a number of workers and students were interned by government officials. After the political changes in 1989, due to horrifying inflation and economic recession, KUL was in a critical financial situation. Help came from the Holy Father and European, American, and Canadian Polonia. At the same time intense lobbying was undertaken to obtain government grants. Thanks to these activities by the rector and the University authorities, as well as the Friends of KUL, the Congress and Senate of the Republic of Poland passed an act on August 14, 1991, giving KUL a grant from the state treasury, effective as of January 1, 1992. The subsidy helped current teaching expenses and scholarships for students, according to the same criteria as in state universities. However, building grants were excluded. In recent years, the Department of Mathematics and Natural Science was founded (1998) as well as the Off-Campus Faculty of Legal and Economic Sciences in Tomaszów Lubelski (2000), and Off-Campus Faculty of Social Sciences in Stalowa Wola (2004). Various post-graduate studies were also created. On 16th October 2005 during a ceremonial inauguration of academic year 2005-2006, KUL adopted the name of The John Paul Catholic University of Lublin.